His credits as EXECUTIVE PRODUCER include the OSCAR-WINNING documentary THE FOG OF WAR; the Oscar-nominated film BLUE VALENTINE; the Emmy-nominated LEFT OF THE DIAL for HBO; GIRLS WHO LIKE BOYS WHO LIKE BOYS for SUNDANCE; the PBS documentaries THE NEW PUBLIC and PLAYWRIGHT: FROM PAGE TO STAGE; and THE PILOT of the EMMY-WINNING AMC series MAD MEN. A recovering STUDIO executive, he has been involved in the PRODUCTION and DEVELOPMENT of dozens of movies, including THE CRYING GAME, GOOD WILL HUNTING, FOUR WEDDINGS AND A FUNERAL, THE CIDER HOUSE RULES, BACKBEAT, CHOCOLAT and THE FULL MONTY. His book CAN’T TAKE MY EYES OFF YOU: ONE MAN, SEVEN DAYS, 12 TELEVISIONS was published in 2000, and his PICTURE BOOK Mary Had A Little Lamp in 2008. He wrote the LYRICS for the musical THE KID, which PREMIERED off-Broadway in MAY 2010. 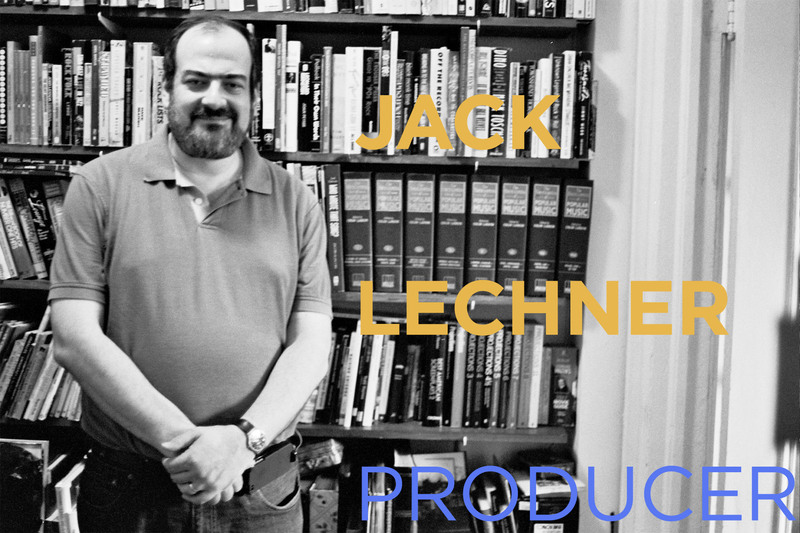 Jack is an adjunct PROFESSOR at NYU and Columbia. If you think you might actually enjoy being an AGENT, then an agent training program is a terrific thing to do. People at agencies see everything and meet everyone. Beyond that, my standard advice — because it works — is to make an honest list of what you enjoy most as a consumer of media, and then try to work for the people who make the stuff at the top of that list. It’s a bit counter-intuitive, because we tend to put the things we love most and the people we admire most on a pedestal, and assume they’re unreachable. But actually, you’re more likely to be hired by the people you admire most, because you know more about what they do and are more passionate about what you’ll be doing (which also means you’ll do a better job). So if what you love most in the world is WES ANDERSON movies, then your mission is to figure out a path to get to Wes Anderson. Etc. etc. etc. And do be honest — if what you love most is “The Bachelor,” then THAT’s your mission. Jack is a film industry HERO.